Readers familiar with John B Keane’s play The Field have an advantage when it comes to understanding the wine region that can easily claim to be the world’s most fabled: Burgundy. Burgundy is a state of mind as much as a name on a map and its citizens are characterised by a visceral attachment to the land; you could be forgiven for thinking that if some of them stood still for long enough they would put down roots. I like to think I understand Burgundy, yet the true test of understanding – being able to explain it to somebody else – usually trips me up and I resort to a Gallic shrug and a you-really-must-visit-to-understand-it cop out. The Burgundians themselves haven’t been great at explaining their homeland either, until now that is, as they seek to gain official recognition as a UNESCO World Heritage site. This process has been in train for several years and at the time of writing the application has been approved by the French government and now goes forward for consideration by the World Heritage Committee, which will announce its decision next year. 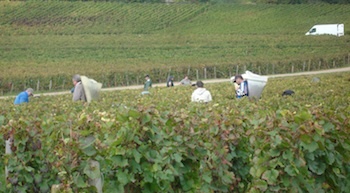 Only the heartland of the region, comprising the Côtes de Nuits, the Côtes de Beaune, the city of Dijon and the town of Beaune, is included in the application. 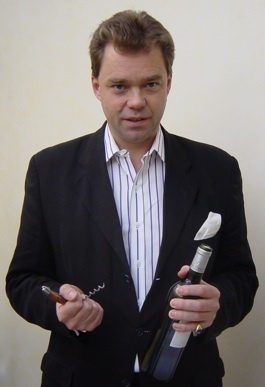 The association to campaign for World Heritage status for the climats du vignoble de Bourgogne was formed in 2007 and its president is Aubert de Villaine, co-proprietor of Domaine de la Romanée-Conti, the most famous estate in Burgundy, and perhaps the world. de Villaine is a lean and spry seventy-something who speaks quietly and in measured tones. Burgundy could hardly wish for a better ambassador, not because of an exceptional ability as a lobbyist, a good spinner of PR or a legendary capacity for ‘working the room’ but because he is the very antithesis of these things. He commands respect across the globe and when he speaks people listen. The concept of natural potential harnessed by human intervention is central to the application and the first people to give direction and definition to this potential were the Benedictine and Cistercian monks whose influence is readily visible even today, most notably in the imposing edifice that is the Château du Clos de Vougeot, originally built as the winery for the nearby abbey of Cîteaux. The monks were the first to demarcate and categorise the vineyards and many of the clos, or enclosed vineyards, that they established, are still in existence. 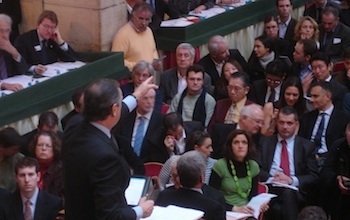 Hospices de Beaune auction, November 2009. Today, thanks to the Napoleonic laws of succession, vineyard ownership is incredibly fragmented; indeed the best example of this is the Clos de Vougeot, where Cîteaux’s sole ownership has been superseded by more than eighty owners laying claim to over one hundred plots of vines. If anything, this parcellation has tied the people closer to the land, each plot or climat, treasured for the individuality of its wine, which may be differentiated from its neighbour only in nuance but differentiated it will be. Wine lovers are intrigued, even enchanted, though sometimes frustrated, by this complicated tapestry. Let us hope that, should Burgundy’s UNESCO application prove successful, the inevitable influx of new tourists will find it equally enchanting. The UNESCO World Heritage list dates back to 1978 and now comprises 936 sites including the Pyramids of Egypt, the Great Barrier Reef, the Taj Mahal and our own Skellig Michael. The designation is only given to sites or monuments of “outstanding universal value” and the list is divided into three categories: Cultural Heritage (eg the Acropolis), Natural Heritage (eg the Grand Canyon) and Mixed Heritage (eg the Sanctuary of Machu Picchu). 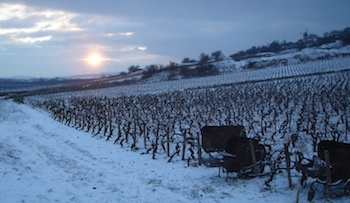 Burgundy is a wonderful region to visit. Base yourself in Beaune (don’t miss the Saturday morning market) and explore the surrounding vineyards as slowly as time permits, on foot or by bicycle. 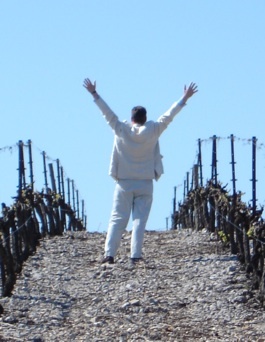 Bring a map and place your feet on the ground where the monks stood 1,000 years ago as they demarcated the vineyards. Only then will you begin to get a true understanding of the place. Article originally published in Food & Wine, June 2012.